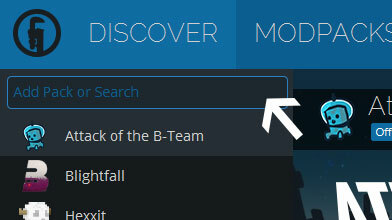 Type in the modpack name (Attack of the B-Team) or paste the following url into the search box. 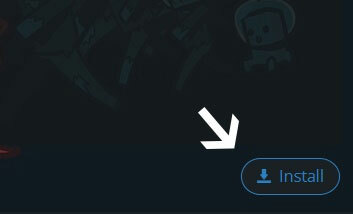 Finally, click Install at the bottom right of the launcher after you select Attack of the B-Team from the list on the left. The launcher will handle everything else! Attack of the B-Team was the Technic's first modpack to launch in conjuction with a charity fundraiser. Throughout the week thanks to your generous donations we raised over $22,000 for the Child's Play Charity. That's a lot of toys and games for kids! So first of all, thank you to everyone who donated for early access. You helped make a difference and you should be proud of yourself. Now, about the modpack! This modpack was designed with one thing in mind, crazy mad science! With the help of the B-Team we hand picked the wackiest mods we could find and shoved them all in a modpack for you guys. The result is Attack of the B-Team! A mod was added (Lumy Skin Patch), which brings back your super nice Minecraft skins (and if you play with other people, theirs as well! ).